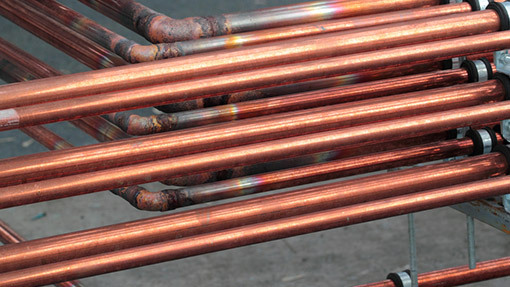 Copper pipes are known for their durability and sustainability over many decades unlike the use of iron or galvanized piping. 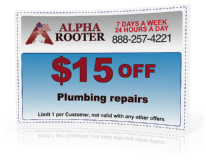 If you’re experiencing discolored water coming from your faucets or a foul smell emerging, it’s most likely time to replace. Over 25 years ago the practice of using galvanized pipes was popular among plumbers but it is now known that they will eventually erode and form rust which will in turn slow the movement of water and construct up gunk and slime during the plumbing process. All this leads to rusty, stinky water that barely comes out of the faucet. This is why at Alpha Rooter we highly recommend switching and re-piping with copper. 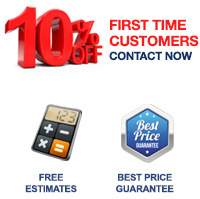 At Alpha Rooter we make sure to assess the current pipe patterns in your home or business so that when the new copper pipes are installed, they will be a perfect match. 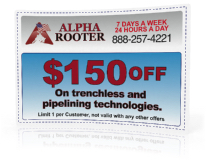 Our advanced tools and skilled technicians will be able to clean, solder and replace all pipes to copper so that you can rest easy. 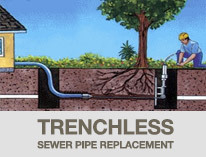 We always make sure to double check our work to make sure all pipes are connected to the right lines before we leave. 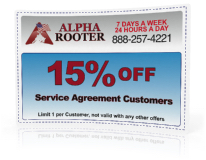 Although copper re-piping can seem more expensive, in the long run, it will be the most reliable and cost effective for all types of homes, businesses, and condominiums. Last but not least, copper re-piping excludes potential damages to your floors and walls. 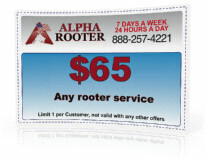 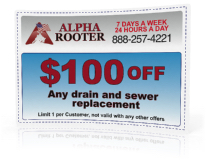 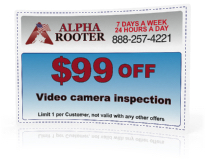 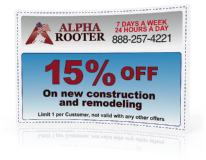 If you are in the middle of construction or renovation, call Alpha Rooter to receive a special copper re-piping quote so that the plumbers can easily access your pipes.